"A robust email solution with great tracking data and custom options"
Creating emails is simple. We're also given tools to create many types of layout and styles to suit our needs. The design and editing tools are largely visual, so we can simple click and drag various elements into place. I like that we can see information about email opens and link clicks, which gives us insight into the effectiveness of certain email campaigns. I think editing certain emails in a very precise way can be complicated. The templates and layout selections are nice, but when I need to make spacing or size changes, I'd like to be able to enter numerical settings, whether as pixels or percentages, to achieve very exact style adjustments. For an email platform that is easy to use with nice templates and custom options, Campayn is as good as they come. If you don't want a platform with so many canned features and need highly-customized options, then you may want to look elsewhere. Campayn has been a great and full-featured email marketing platform that is super easy to use on a standard level. We can quickly put together well-formatted emails with a good amount of custom options that generally suit our needs. The tracking data we get after blasting emails out is extremely helpful for gauging the success of our campaigns. Rather than being in the dark or having to poll email recipients, we can simply pull up the interaction metrics. "A very complete email marketing platform"
Campayn has several types of web forms for us to collect contact information for our marketing lists. We can collect and store detailed information to help us create and distribute marketing and newsletter emails in a more targeted fashion. Campayn provides us with excellent email templates that are very professional and appear well in most email clients. The templates are easy to customize with our own information. We also have very insightful data about user actions such as email opens and link clicks. The pricing structure is rather confusing and restrictive. I would like to be able to add as many contacts and send an unlimited amount of emails for a set price. I feel like we have to trim down our contact lists for some campaigns, which is tricky because determining the quality of each contact isn't a really straightforward process. Overall, I'd recommend Campayn for it's extensive capabilities in creating and distributing emails and providing useful insight into contact actions. Campayn's pricing might be a bit strange, but I think some people might find it fair and a good value. We have launched many successful email marketing campaigns with Campayn. We not only received positive interaction data from the platform, but saw a good amount of conversions for our events and promotions. Campayn has been a great automation tool that allows us to send a steady stream of emails to keep our contacts engaged and connected with our business. "Send the most attractive emails you can imagine without the need to know internet marketing"
"Easy to use as advertised, excellent customer service "." I tried several email marketing solutions, but none seemed to get stuck. Some were powerful but very difficult to use, while others did not have everything they needed. Campayn seemed to do everything he needed, and also at a good price! Not being an expert, I really appreciated the multiple options for registration forms, and I especially liked their great forms templates in full screen! I had some problems importing my list due to file format problems, but their support was very friendly and I imported the list into my account, so it quickly became a problem. They also responded quickly when I did not understand how something worked, which really helped me to continue with my email. The ability to send response emails to our customers and potential customers. in a very short time he made everything much faster and safer. ایجاد علاقه ایجاد امید به زندگی. راحتی در کسبو کار. ایجاد زمینه های کاری با سرمایهای کم و حمایت دیگران. ایجاد محیط آشنا برای مخاطب فارسی زبان. ایجاد سهولت در یادگیری و ورود به سیتم برای خود و کسانی که با سیستم آشنایی ندارند. بازخورد سرویس شما برای من مهم است . حد اقل برای پیشنهاد به دیگران مورد نظر قرار میگیرید. .
در خیلی از کمپینهای مواثر در زندگی خود مانند کمپین های کمکردن زباله و یا ایجاد فضای سبز همسو هستم اما هر کمپینی با ایجاد هماهنگی و کار گروهی سریعتر نتیجه خواهد داد. "boost your sales and marketing." Demand of good and services depends on the consumer knowledge concerning the products being sold. Campayn is an amazing software that enables businesses reach their customers through Emails. it has best features like; contacts manager that stores all customer details, advanced Email editor that has attracting and interesting tools which enable building of attracting emails, automated updates like new blogs, magazines, etc to stored contacts. ability to track the location where the email is read, the number of times the email has been opened, the devices used to open the emails. reporting ease for customers and business partners, notification on email delivery, welcoming texts sent to new contacts, automated Emails. dislikes includes, regular pop-ups of Emails can be tiresome and boring. are you stranded, looking for an affordable, easy to use, reliable, effective and efficient Email marketing software? Campayn gives all you need in one package. our business interaction with Campayn has been unforgettable. increased interaction with our customers as they can chat easily, our customers are issued with updates on our new products in the markets, increased markets for our products as advertising through Email is effective and cheap, improved customer care services, increased production due to increase in demand for our products, low cost of production due to automated emails thus reducing paper and manual work. Campayn provides the best features like; contact manager where contacts of prospects are saved, email design with attracting themes and tools, automated newsletters, blog articles updates, the controller can monitor how their contacts are interacting with the emails, there locations and the activity on the emails, email deliverbility enables the marketing expert to follow-up on their earlier communications, welcoming messages can call a prospective customer attention, reporting is relatively close to immediate. not much dislikes, though some people find it boring receiving regular emails. looking for the best email marketing platform, Campayn is the best place to go. the experience is more than excellent; improved customer contact through regular communications, enabled the business identify locations where our products are of demand, advertising is made simple just through a email customers learn about the products, our emails widely read as the design is interesting and attractive, low cost of marketing, customers receive up to date information about new products and services in the business, reporting has become simple, fast and easier. "Wowsome Tool For Mail Marketers"
This is the best tool i recommend Easy to use interface , drafts and everything makes it easy to send mails to your buyers or get them news about your new arrivals , blog , vlogs , offers , discounts . It is so manageable that i am in love with this nonstop too to create, share and track email under one roof .They also provide Free for Life Plan where you will be able to send 20,000 emails to 2,000 contacts per month. The Reason i dislike about it is the do not have good support at all , where i think they should work on it they should reply quick so that stucked customer feels not alone sometimes. They are already doing great job and managing all well just i want them to make their support fast and reliable and they are all set . I love new tools research and love to check the capability of them so i used this too and love this one , its so easy to manage create send and get reports from it that i use it for my good projects . This helped lot of conversions of new clients and analysing where i fail to pitch new users . Good Tool Good to use. Campayn is a great tool for creating attractive newsletter and run email campaigns. What I like the best about the software is that it lets to send 12500 emails per month in its free subscription. Moreover, it has easy to use interface and also offers you embed sign up forms so as to increase the subscribers easily. The emails we send through this product are not mobile friendly so I think it should be better if it offers to create mobile friendly emails. I would surely recommend to use the tool as it is very easy to use. It has drag and drop editor to create emails easily. Over all, it offers free version for running email campaigns. I had used the free version of this software and it really helped me in reaching my business audience for free. I liked the price and the reporting features. It has good options for cheap and the free services doesn't offer the detailed reporting but for a low price you get so much. I really liked the different sign up options as well. I think the software would be even better if it had mobile optimized emails. Everyone has their phones stuck to them. It would benefit them to consider adding it soon. Had a little trouble uploading my contacts, maybe make that a little easier too. It boosted my email marketing game to the next level and allowing me to do it for a very good price. I am nor super computer savey but this is amazingly easy to use. I love love love the tracking tools. You can see how many have been sent and opened. Keeping your emails out of the spam folders. I love knowing that my working isn't just sitting in someones junk/spam mail never to be seen. So far I don't have any complaints. Love the interface of the software, it's well designed and easy to use. I love how easy it is to create templates. We used it to help engage an online community and collect leads to grow the community. You will have access to dozens of free email templates, and they are all made to be responsive and fit for any device. You can import your lists from any source by uploading your CSV spreadsheet, by pasting it in your contact list, or connecting Campayn with Gmail, Yahoo, or other services. Although Campayn helps with detailed email analytics, it's ease of use is not as good as other products I have used. There is no coding necessary with their editor. It is supposed to be just drag and drop. It can help your customers keep track of your upcoming business events with calendar buttons that automatically add events to their online calendar. We are able to share ebooks, digital brochures, contracts and more by embedding an easy-to-format link that lets customers download files to their computer or smart device. In my opinion, I haven’t noticed any minuses in this best program. This program helps me a lot with my hard work and many other business matters. "Email Marketing Campaign with Campayn "
There is nothing tough like marketing, that is why we need a platform that can ease the task of marketing on the web. I like Campayn because it has all the tools for email marketing in it. Campayn is easy like 123 to sign up and start working with it. It only require little effort to learn and master all the features and how they work in order to become a pro user. Campayn is cost-effective compared with other marketing systems. Finally, I love the way we get automated email responses with the help of Campayn. Data interoperability is a bit hard to launch and also it is tedious to customize Campayn during initial setup. Yes, but first they should know how all the features function. Email Marketing is the main benefit that Campayn offer us. Basic reporting is among the things that we get with Campayn. One great attribute to this software is that it has a easy interface to use. Any person can operate this software. With my experience it is pretty easy to set automated emails up to go to desired lists. It is well designed and easy to figure out and use. It is also easy to create nice looking templates. This software has everything I needed. It has a good price point too. I truly appreciated the sign up forms and again it had beautiful looking templates. Overall I loved the way it works! I had some problems importing my list due to file format issues, but their support was good. They helped me out with all the problems after the call. They were quick to respond when I didn't understand something. That did help me out a lot. It would be nicer if they had different price plans, to be honest. Sometimes the software did get a little to slow. Overall just to make a price plan and also maybe put more money into marketing. I have a lot of friends who need to know about this software! It is helping me with all sorts of different errands I used to worry about using my old email software! It gives me a great look to my emails with all the different email templates. The best part is that it goes with any type of device. It also has a great reporting system. This helps me get a detailed view of an analysis of my emails. This software over gives me a more professional look and feel to my emails. "Professional and modern email campaigning!" I liked how easy it was to use this program. There are so many ways that you can customize the layout of your emails. I also like how simple the drag and drop feature is. It is very easy to make your campaigns appealing and eye catching. It can get slightly pricey for my budget. I am just starting off my business and I hope that I can allocated my money to marketing so that I have the ability to use this program again in the future. It was a great experience. Give it a try. You can always cancel. It is worth a shot. Solves issues of people deleting emails. With the interface that Campayn provides, people actually look at the emails and read your campaigns instead of skimming over them and deleting them. True attention grabber! "It's all bout Email marketing with Campayn "
Who doesn't like a system that suits all the needs in one place without having to move from one app to another. The reason why i like Campayn is availability of all email marketing features in one secure place. I also like the fact that Campayn is easy to use without having to look for internal apps. I do not dislike even a single thing about Campayn since it has been my digital marketing savior. Email Marketing is the top notch thing that I relish from Campayn. "Campayn - Simplifying Email Campaigns"
Another email campaign manager tailored to small businesses and startups. The biggest differentiator in this software was its simplicity. Many email campaigns claim to be easy however that isn't the case. Campayn was specifically designed with simple templates for desktops and mobile apps. While it's simplicity and easiness is impressive, it made it difficult to really get break from that mold. Its competitors ConstantContact and MailChimp have a plethora of features that they can offer over Campayn which is worth keeping in mind when your business grows. Consider this if you are a small company or startup and don't have enough time to customize each campaign. Also worth noting that you don't have to be a marketing guru to use Campayn. Wanted simplicity in terms of email templates/design and analytics without spending too much. The easiness helped us save time to focus on other aspects such as social media content creation, recruiting, vendor and customer relationships, etc. "Campayn is the best for campaigns." Using Campayn is like abcd,very easy to use and its cost is very pocket friendly compared to other marketing systems. I like most this tool because it has all marketing tools in it that I require to meet my goals. Anyone can use Campayn since it has a very user-friendly interface. I don't have anything to dislike. Campayn is a recommendable tool that allows me solve alot .the customer support is the best.very quick and understanding. Campayn is not expensive. I recommend. It's all about email marketing. It helps me maintain good relationship with my clients and improve the chances of them coming back in future. I like that Campayn has all the features for email marketing. Great customer support readily available 365/24/7. Campayn requires short runing curve. Highly customized to meet varying needs. Noooothing at all. Campayn is the best for email campaigning. I would highly recommend it to all sorts of corporations. I use Campayn to send large number of emails. Manage email lists and send outbound emails at once. "Connect your prospects effectively with Campayn." Accuracy at its best with this software. I got best results in my product surveys because of this software. Creating research survey with its email editor is very easy. It lacks on its reporting feature. It is not very comprehensive. And I found its pricing expensive. Highly recommended for people active in market research sector. It helps me to conduct market survey through email campaigns. I got very good results. "Campayn..The best email marketing you can't go without." I like Campayn because it can help you keep the track of your upcoming business events . It allows us to share digital brochures, ebooks contract and more by embedding easy to format link which will allow clients to download files to their computers. Infact,,,choosing Campayn is choosing the best software that has all the tools needed for emailing marketing. In my case,I haven't discovered any difficulty while using Campayn. Campayn is a must use software. I highly recommend. Campayn us easy to learn and easy to understand. It is pocket friendly compared to other marketing solutions. Everything. It makes it very easy to build targeted emails to my clients. Nothing. I haven't encountered any problems. "Email Marketing done with a few Clicks. So easy to use!" One of the best email marketing tool having simple and elegant interface. Beautiful templates. User friendly editor. Easily manageable drip campaigns. The support response time is too high . Email delivery is average . See emails to Gmail landed into junk folder. you will love the interface of the software. It is so user-friendly and easily manageable . No need to hire experts to manage your stuffs. I have done email marketing for managed Clients here. Got good responses. "Campayn is the best email marketing solutions in the market." We have tried many email marketing softwares but non seemed to work until the time we came across Campayn. Campayn has all the great features we were looking for and its a very straightforward Software that is offered at a good price. Since we begun using Campayn, it has indeed made everything much safer and faster. Looking for email marketing solutions, then Campayn is the best you can have. It may seem boring for receiving regular emails but that what it was meant for.Nothing much to dislike. 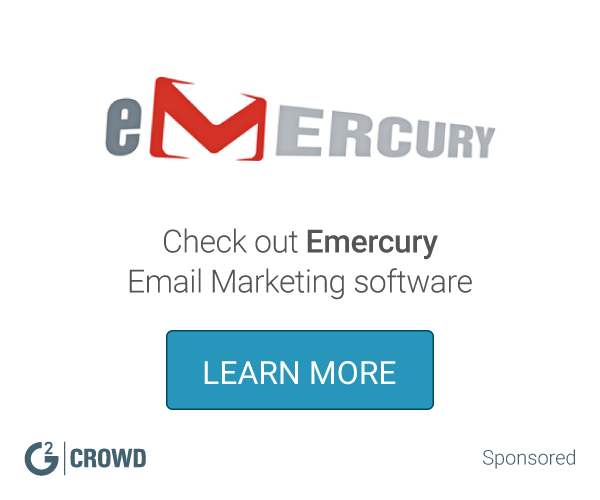 Excellent, improved,perfect email marketing Software. "I use Campayn to create effective email campaigns"
I love how easy it is to use. I know exactly where to go and how to utilize it. I actually do not dislike anything about it. I prefer it over the other email marketing platforms. I am able to reach out to all of our past clients and future clients who have signed up for our email newsletters. I can maintain relationships better and increase the chances they will return to us in the future. A very straightforward tool.what makes its the best is how easy it is to use.Campayn has the best customer support. Anytime you have an issue, they are always there for you. This tool allows us to send emails and track stats. Campayn doesn't seem to have any issues yet,whatever I use it to do it gives me the best results.someone should give it a try. It has made my work easier. It is quick to learn, understand and allow you create beautiful campaigns within a very short time. "Campayn is perfect for designing and sending responsive emails"
Compared do some other providers the pricing is a little steep but we are guessing this is due to the rich functionality. It is a great if you are struggling to come up with a viable email template in a short space of time. We are creating emails that our customers can read on all of their devices making our business go mobile. "Very useful and helpful. Easy to use." Campayn makes everything easy.it is easy to send mails to your clients. It allows me to create, track and share under one roof. Campayn has easy to use interface and also offers you embed sign up forms so as to increase the subscribers easily. The emails we send through Campayn aren't mobile friendly. I think if this can be improved it can work more better and very efficient. Campayn helps me with alot with my hard work and many other business matters. I like how easy it is to use,you can customize the layout of your emails in so many ways.I also like how simple the drag and drop feature is.The most thing I like about Campayn is the availability of email marketing features in one secure place. Campayn has been my great helper so I have nothing to dislike about it. Creating research survey with its email editor is very easy.Allows me to easily engage with customers in a professional way. I liked the the reporting features and easy to use interface. They also provide Free for Life Plan where you will be able to send 20,000 emails to 2,000 contacts per month. It doesn't have mobile optimized emails. Good and a very easy tool to use. It boosted my email marketing game. it is kinda expensive ! I enjoy working in a collaborative environment and working on projects from start to finish. It takes time to be creative and think of an idea for marketing a product. I have been working on Mobile ads and increase the effectiveness of the ad-targeting capabilities. This is an okay system to use! Works for basic mass email sending. Easy to figure out, one person job. Chip is much better and has more friendly options. This is generic! Having people attend an open house! This helps people recognize the event. "Easily Send Mobile Optimized Newsletter with few Clicks "
Auto reply / responder can be easily configured here. Price is a Good Part, not much expensive. Not a much feature rich email marketing software. Automation part is missing here. If you want to go for simplicity and ease of use , you can prefer this budget software. Done email marketing for our Clients. "Great Product, Easy to use and very useful!" Give it a go, it's easy to get the hang of and you'll find it very useful if your looking to send clients emails at short notice. "Campayn is my go-to solution for Email marketing "
What i like most about Campayn is ease of use and has all email marketing features in one secure platform. Automated email responses is another thing that i like most about since it help me save time and energy while marketing. Campayn is cusomizable to meet all marketing needs in one place. Campayn hardly integrate with lots of APIs and apps. I use Campayn to market ETR machines in our corporation. Emails can be a tricky, annoying business, but with Campayn everything is done simple and RIGHT! At first the tabs and templates seem a little daunting, option-wise, but after two tries it was a breeze! Reaching clients, colleagues and employees, all perfectly done! Campayn is one of the best tool I have ever used.It is the best program to use for,Mass email sending.reaching colleagues and employees. It has descent price,great templates and its easy to use. If is very simple to learn and interact with. I wish they can improve in some functionality on the mobile application. "One of the best marketing tools"
UI is very self-explanatory and you don't spend a ton of time trying to figure it out. In this day and age you don't want to spend too much time Learning the platform, And this one is awesome. Basic improvement they could use is on the mobile app, Otherwise the team has done a great job with this product and it's ease-of-use. Definitely try it out and see if it meets the needs of your business. Marketing in the real estate business. "Decent price, great templates, easy to use"
Campayn was the third platform I tried in last two years. It's definitely nicer and much more handy than other solutions. Templates are also pretty good. Especially I like the way how I can get other colleagues involved and manage their what they can see or do. Pricing is also decent. There's definitely a higher value, comparing with what you get with other competitors. "Good Product, simple and effective to use"
Provides great design, available to use from the mobile app. Very simple to learn and interact with. Can improve some functionality on the mobile app. Marketing and email campaigns to customers. "Still getting the hang of it!" It is a very straightforward program, which, when time is put into fully understanding its capabilities, should be very helpful. Nothing, yet! We are still in the implementation phase. We are seriously behind schedule due to our own in effectiveness, but look forward to a successful outcome with in the next year. Collecting, organizing, and quantifying data. Does not seem to offer any unique services that sat it apart from the rest of the field. Make sure you get enough use out of the program services - not all of these services need to be paid for. Mass messages to customers and potential program users to market services. "Email campaigns developed by Campayn "
I like that with only a smartphone or PC, I can access Campayn from anywhere. Customization is the only challenge, which may require intervention of 3rd party consultants. I use Campayn to advance email marketing. Campayn allows me to send automated email responses. "Great way to send out and market emails"
Marketing emails and tracking how many are read/clicked on/etc. "Great software - easy to use"
Templates are a breeze to use. Importing your contacts are a snap. Nothing really - would like more flexibility on automated processing. Look at you needs and have someone other than yourself verify that this is the right step for you. How to communicate quickly with thousands of customers. Great sales as a result. * We monitor all Campayn reviews to prevent fraudulent reviews and keep review quality high. We do not post reviews by company employees or direct competitors. Validated reviews require the user to submit a screenshot of the product containing their user ID, in order to verify a user is an actual user of the product. Hi there! Are you looking to implement a solution like Campayn?